Plastic Strap Tools – Grant Packaging, LLC. Plastic strap may get the same job done as steel strap, but it’s an inherently different product. Therefore, when working with synthetic steel strap alternatives, such as plastic strap or poly strap, you are going to need tools made just for that material. Fortunately, there is a strap resource that carries all kinds of strap, tools and accessories at lower prices than the competition. With brand names such as Signode – ACME, Fromm, Orgapack, MIP, you have a wide variety of quality brands to choose from. Grant Packaging is a strapping company that serves ALL AREAS, including Kansas, Missouri, Illinois, Arkansas, Iowa and Indiana. As you browse www.GrantPackagingLLC.com, you’ll see a wide selection of tools made for the various types of strap. 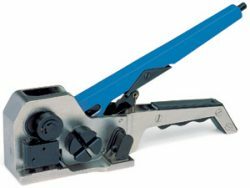 For plastic strap, you’ll see cutters and tensioners that will allow you to work with the product with ease. 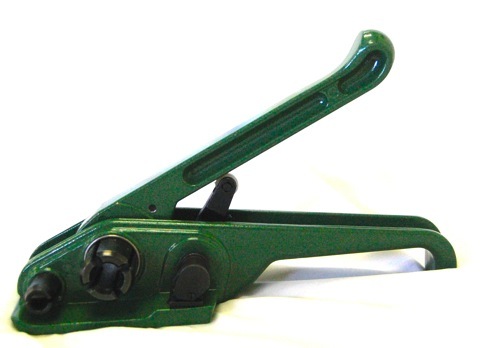 Grant Packaging also engages in tool repair (satisfaction guaranteed) and has a free loaner tool program. We sell used tools with the same warranties as with new tools. Grant Packaging caters to the lumber and wood industries, steel works, pipe haulers and brick movers, so they’re serious about offering the right strap for any job. If you need strap, you should find what you need at Grant Packaging. The toll-free number, 866-GRANT-PAC, is a fast, easy way to order, ask questions and find out about new strapping products. You can also email info@grantpackagingllc.com. Grant Packaging stay on top of the evolving strapping industry, and know what’s newest and best on the market. One change from steel to plastic can do a great deal for your company’s profit margin.